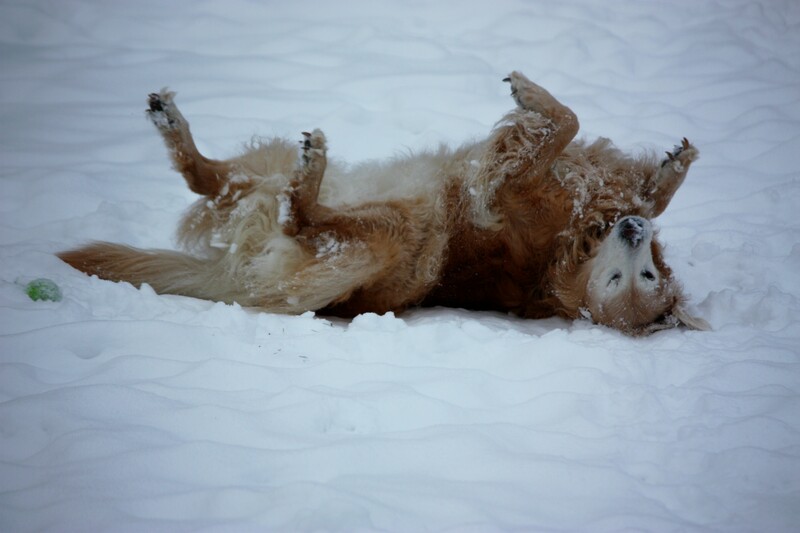 This picture of Rommie making a snow angel was taken a few weeks ago. It is by far the best snow angel picture I have taken over the years. Rolling around not only brings her joy but brings joy to my heart as well. Whenever I see her making snow angels, (or practicing her technique in the spring, summer or fall), I stop what I am doing and just watch her. Doing so brings back joyful childhood memories. Those were the carefree days, my friend.